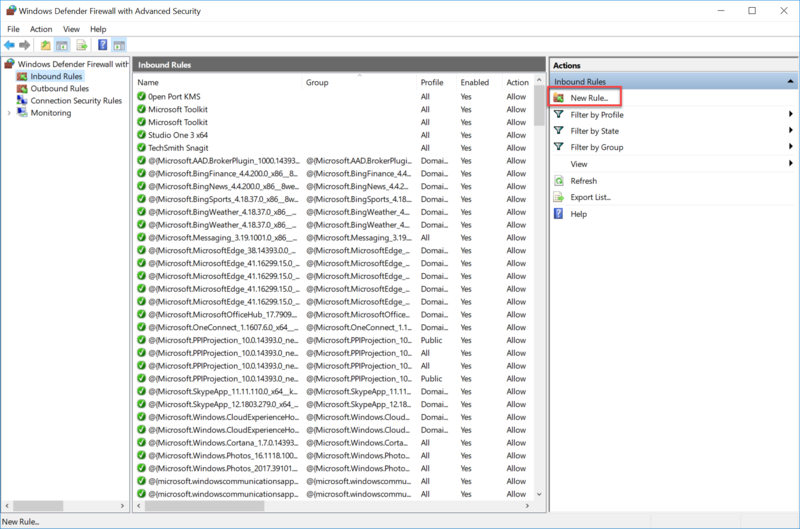 Windows Firewall is a Microsoft Windows application that filters information coming to your system from the Internet and blocking potentially harmful programs. The software blocks most programs from communicating through the firewall. 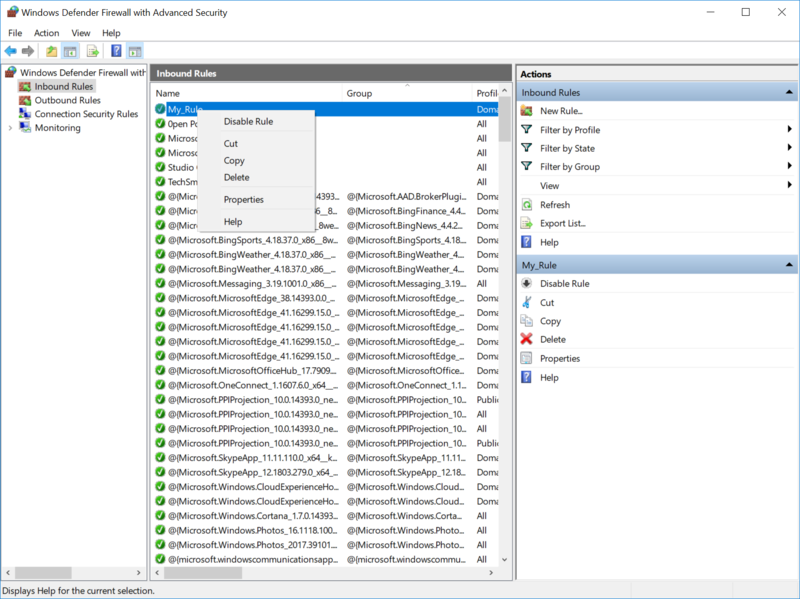 Users simply add a program to the list of allowed programs to allow it to communicate through the firewall. 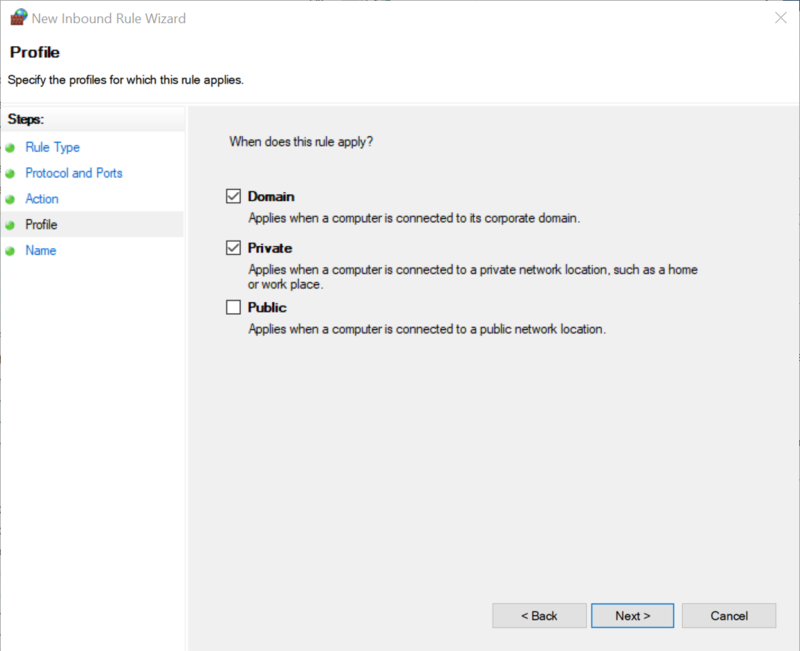 When using a public network, Windows Firewall can also secure the system by blocking all unsolicited attempts to connect to your computer. 1. 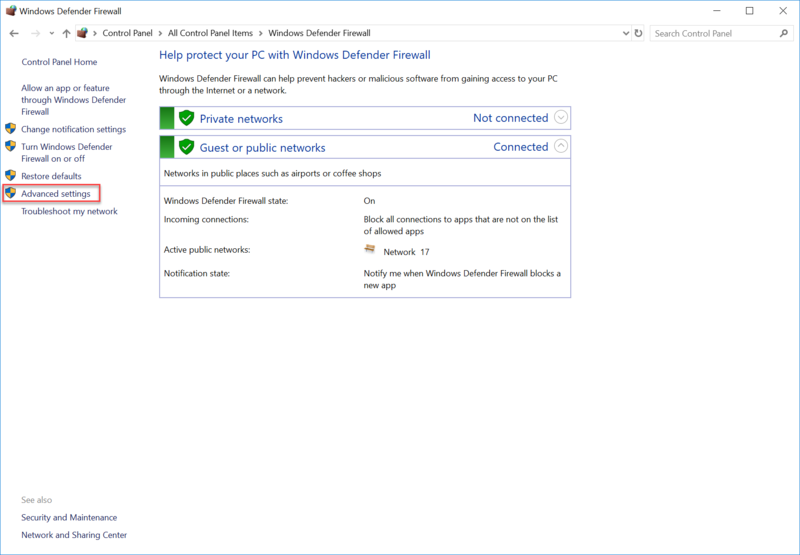 Open Control Panel > Windows Defender Firewall > Advanced settings. 2. Click Inbound Rules in the left frame of the window. 3. Click New Rule… in the right frame of the window. 4. Click Port and click Next button. 5. Click either TCP or UDP. 6. 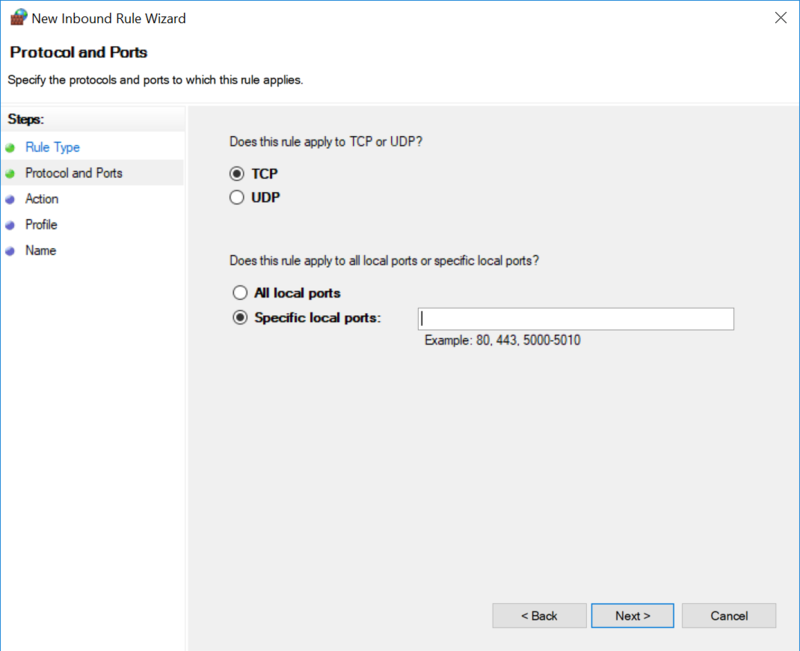 Click Specific local ports. 7. Type a port number and click Next button. 8. Click Allow the connection and click Next button. 9. Click any network types you'd like to allow the connection over. 11. Type a name for the rule. The same set of steps listed above can be used to create a rule for outgoing traffic. In step No. 2, instead of clicking Inbound Rules, you'll want to click Outgoing Rules. 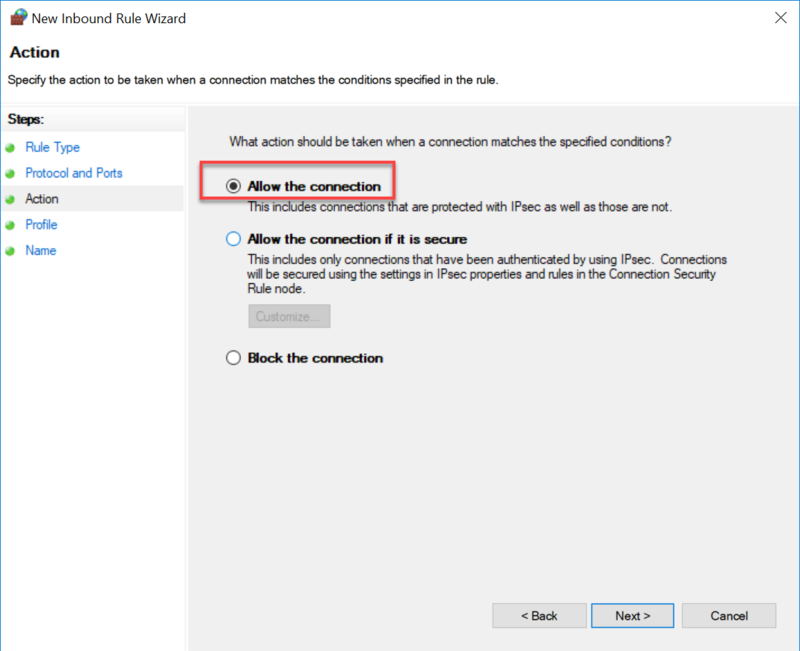 The rest of the steps are the same, and you can disable the rule in the same manner by using the steps in the next section. 2. 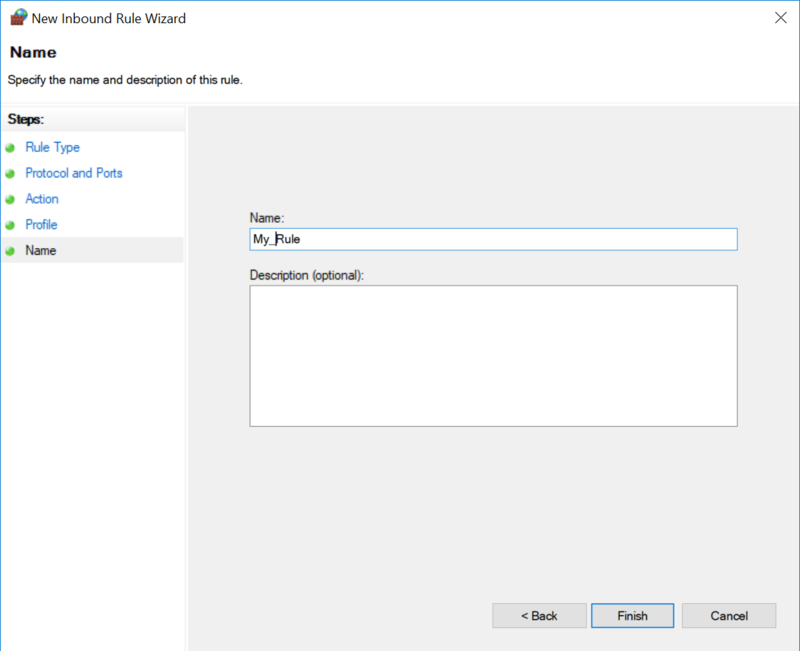 Click Inbound Rules or Outgoing Rules in the left frame of the window, depending on what type of rule you created. 3. Right-click name of the rule in the right frame of the window. 4. 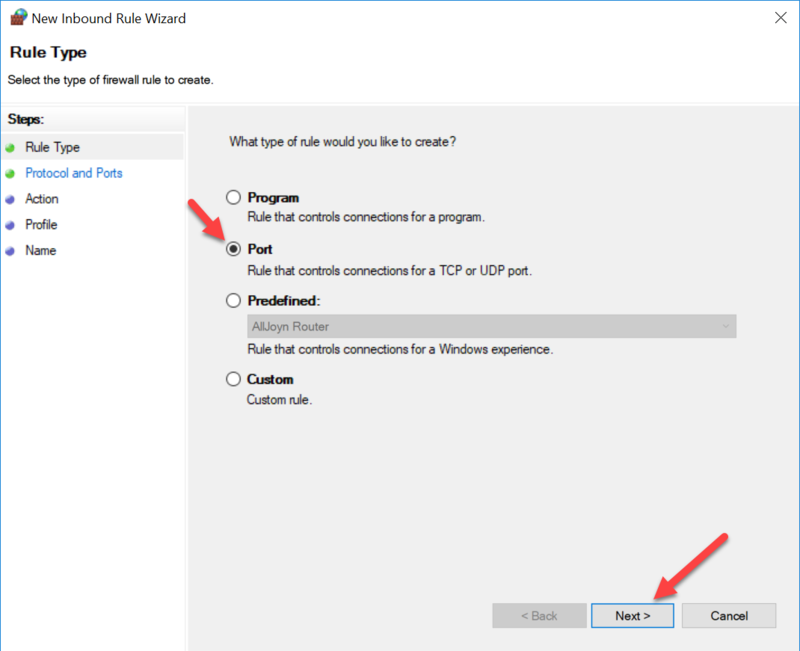 Select either Delete or Disable Rule from the context menu. Click Delete if you want to completely delete the rule.